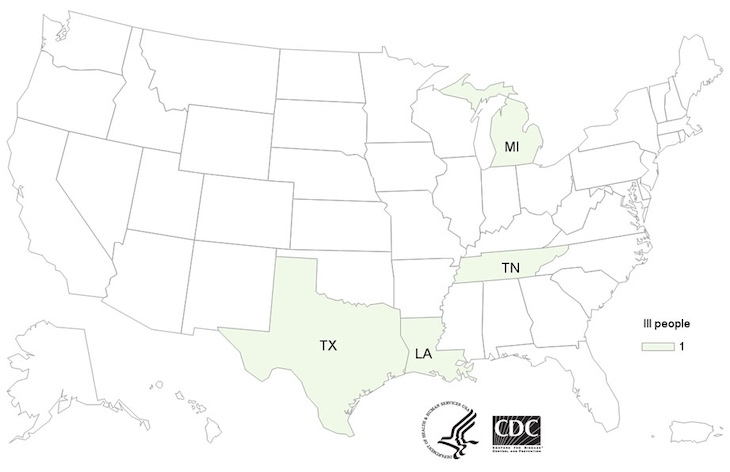 The Listeria monocytogenes outbreak linked to Long Phung pork products has ended with four sick, according to the Centers For Disease Control and Prevention (CDC). All four patients were hospitalized because they were so sick. Those patients live in Louisiana, Michigan, Tennessee, and Texas. The 165368 C. Corporation of Houston, Texas, doing business as Long Phung Food Products, recalled their ready-to-eat pork products for possible contamination. They were labeled with the establishment number “EST. 13561” inside the USDA mark of inspection. They were sold nationwide. The outbreak appears to be over as of January 29, 2019. Listeria specimens from ill persons were collected. Whole genome sequencing was conducted on that bacterial DNA and found that all of those sickened were likely to share a common source of infection. Whole genome sequencing of samples collected at Long Phung Food Products facility showed that the Listeria monocytogenes found where was close related genetically to Listeria from the ill persons. Public health investigators used the PulseNet system to identify people who may be part of this outbreak. Ill persons answered questions about the foods they ate in the four weeks since they got sick. All four said they ate Asian-style foods. Three said they shopped at stores where Long Phung Food products were sold. Symptoms of listeriosis include high fever, headache, stiff neck, convulsions, muscle aches, nausea, and diarrhea. Symptoms usually start 1 to 4 weeks after exposure, but can take as long as 70 days to appear. Pregnant women, who may only have a mild illness, can suffer miscarriage and stillbirth if they contract this illness. If you purchased these products, they may be in your home freezer. Check, and if you have them, throw them away. You should wash and sanitize drawers or shelves in your refrigerator or freezer where these products were stored. The notice from the CDC also mentioned that people who are at risk for serious complications from listeriosis, including the elderly, pregnant women, and the very young, should avoid eating certain foods. They include refrigerated pates, meat spreads from a deli or meat counter. Avoid eating hot dogs, lunch meats, cold cuts, and other deli meats or fermented or dry sausages unless they are heated to 165°F first. 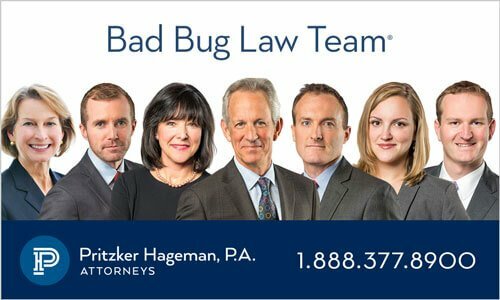 If you or a loved one have been sickened with a Listeria monocytogenes infection after eating recalled Long Phung pork products, please contact our experienced attorneys for help at 1-888-377-8900.